Eleanor Woodhouse, Maria Fanou and Erica Lutes at the European Commission’s stand at NAFSA Expo Hall. U.S. Fulbright-Schuman grantees Eleanor Woodhouse and Maria Fanou participated in NAFSA’s 2017 Conference and Expo as members of the European Commission’s team (with the Directorate General for Education and Culture) for the promotion of the “Study in Europe” programme. NAFSA (the Association of International Educators) is the world’s largest association dedicated to international education and exchange, covering over 150 countries and involving more than 3,500 educational institutions worldwide. In this unique setting, Eleanor and Maria were able to reach out to a diverse group of learners, leaders and change-makers to promote not only the Erasmus+ programmes, but also the very essence of what Europe and studying in Europe means. Surprisingly, even sophisticated players in the international education arena were not aware of the opportunities the European Union has to offer both in terms of educational opportunities and access to funding/ scholarships for non-European citizens. 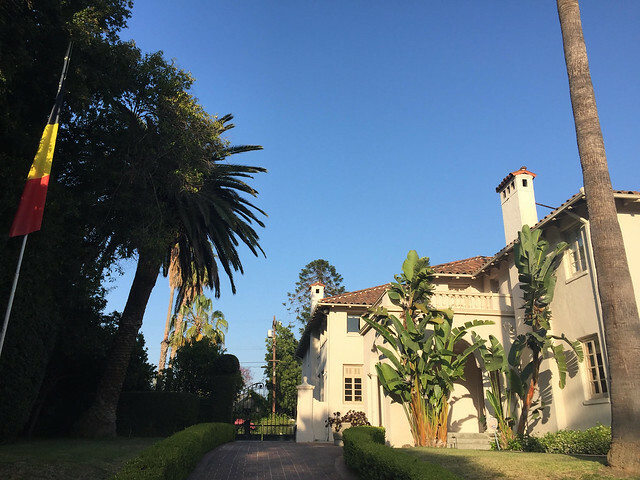 The Belgian Residence in L.A..
Eleanor and Maria also had the pleasure of joining Ms. Erica Lutes, the Executive Director at Fulbright Brussels, for some outreach and networking activities in the margins of the conference. The most memorable of these experiences was their participation at the Belgian Networking Reception, kindly hosted by Consul General Mr. Henri Vantieghem and Mrs. Marie Liévain-Vantieghem at the Residence of Belgium in Los Angeles. Ms. Woodhouse and Ms. Fanou commented: “We are very grateful to have been invited to this wonderful event. Surrounded by European excellence – in the form of Belgian beer and frites! – we had the opportunity to discuss the future of transatlantic educational relations in light of recent political and socio-economic challenges with colleagues from Belgium, Sweden, the USA and many other countries. 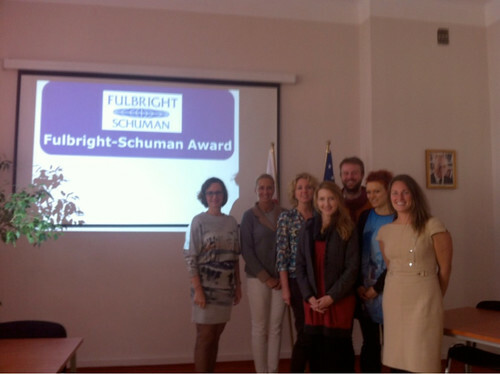 One thing was clear to us: the transatlantic bridge that has been progressively and effectively built over the course of the years through programmes such as the Fulbright is strong. Strong enough to survive turbulent times and stronger than any wall”.